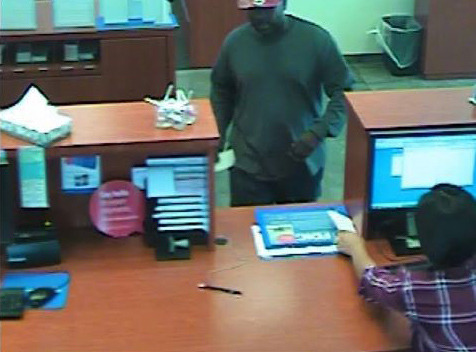 ADDISON, Ill. (WLS) -- Police in the west suburbs looking for the suspect in a bank robbery Tuesday afternoon. 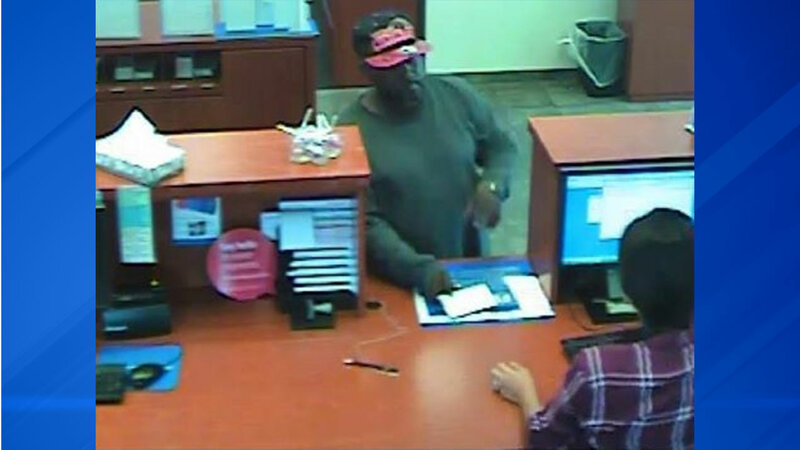 Surveillance pictures show the suspect at the counter of the Harris Bank on Army Trail road in Addison. He is see him wearing a red and black Bulls hat and a long sleeve gray shirt. Anyone with information on the bandit is asked to contact Addison police at 630-543-3080 or the FBI. Surveillance image of a suspect in an Addison bank robbery.